Amassing over 2.4 million Spotify listeners since her first EP in November 2015, 25 year old Australian singer Wafia Al-Rikabi is nothing short of a streaming era breakout star. 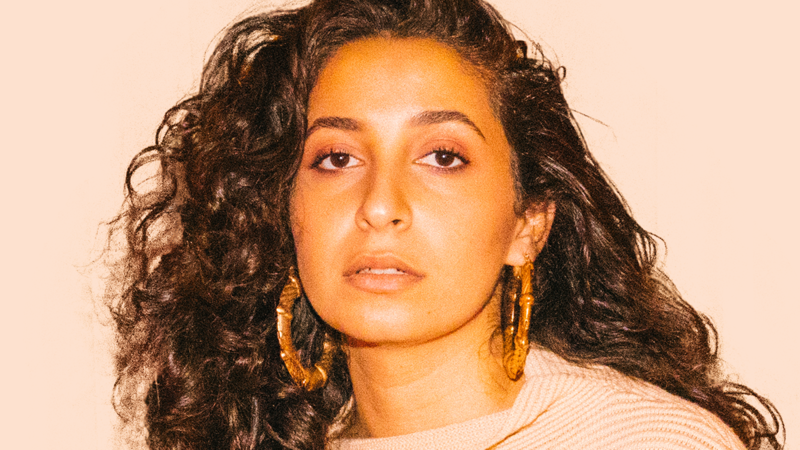 Wafia was met with almost instantaneous success when she debuted the EP XXIX (the atomic number for copper which “signifies change as it is a transitional metal, in a state of change” Wafia has said) in 2015. The EP’s breakout single ‘Heartburn’ gained regular airplay on Australia’s triple j station and was a viral streaming hit, finding a fan in Kylie Jenner and racking up a combined 26 million streams including its two equally popular Jarami and Felix Cartal remixes. After dropping three banging singles in 2017, Wafia kicked off 2018 with the January release of her second EP XIII. Undeniably set for even bigger things, what makes Wafia so exciting is the vulnerability in her music. 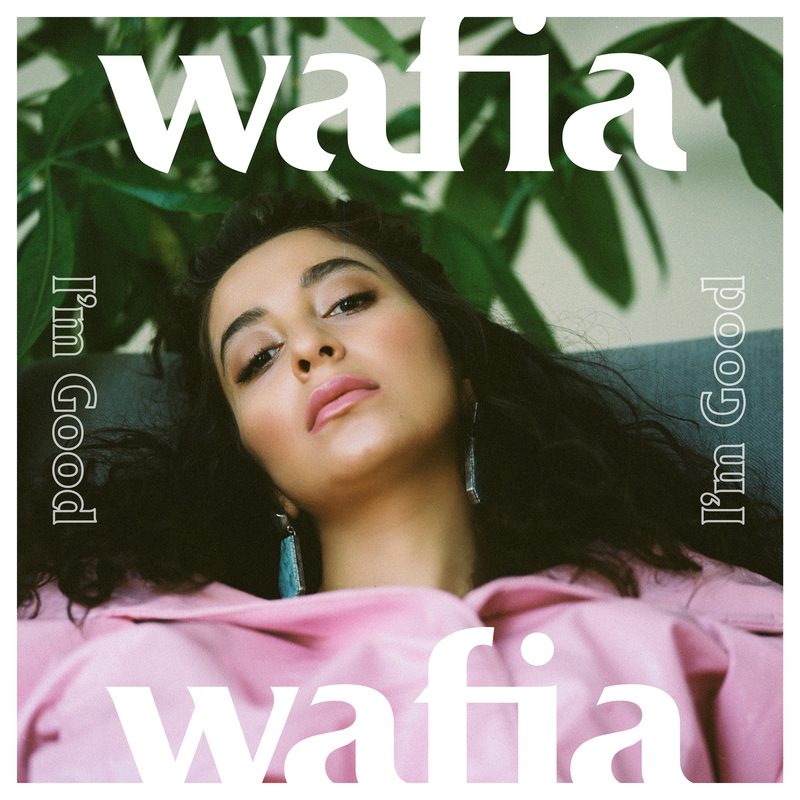 Across these two projects, the singer has carved out a niche sound for herself of slow burning pop-R&B, such as ’83 Days’, ‘Breathe’ and ‘Heartburn’, alongside the more upbeat, anthemic, cathartic sounds of ‘Bodies’ and her latest bop, ‘I’m Good’. Wafia: Same Ol Mistakes – Rihanna. Turn Left. It’s something my manager once told me. The way he put it was that so much about my culture/religion/community expected me to turn right and at every opportunity I turned left. It stuck with me. If you could steal credit for any song, which one would you claim? Somebody Else – The 1975. How did your upbringing influence your relationship with music? Pop music was always in the background. I spent a lot of time growing up in Europe and so Euro pop/dance music was always on the radio and I think to a degree that has influenced me. But so has country music and Arabic music. I have a lot of influences to take from and when it comes to making music, I’m never short of inspiration because of it. I think any sound in the right context can be good. What was the biggest difference in terms of writing and recording VIII compared to your previous work? I think VIII is a lot more open and transparent. I’m all about pushing myself to be the most honest version of myself in any song I write now, even if that means being unlikable. Your song ‘Only Love’ deals with your experiences with queer love, whereas ‘Bodies’ is about the Syrian refugee crisis, a topic very personal to you. Why is it important to use your personal experiences like this and be so publicly honest and open in your music? Because really I don’t know any other way. I can only talk about what I know and those are the things that were on my mind the days that I wrote those particular songs. How was it working with Wrabel (Ellie Goulding, Adam Lambert), Rogét Chahayed (Halsey, Travis Scott) and John Hill (Portugal. the Man, Foster The People) on ‘I’m Good’? Any unique stories to share? So incredible! Rogét has been executively producing my project so he’s really my right hand man when it comes to chords and production. It’s been great to have someone in the room that I trust so dearly. As for Wrabel, he has quickly become my absolute favourite person to write with in the entire world. We write the songs that challenge us and make us feel better than when we came in. And John Hill is a legend. Working with him is such an honour. He has a really incredible ear for telling if a song is great (or going to be) from the first few minutes of working on it. They are really such special collaborators of mine in different ways. So so honoured to know them all. What inspired the decision to shoot the video for ‘I’m Good’ as one continuous shot at sunset? Haha, it’s almost like we wanted to make the day as difficult as possible for us. But really it just felt like it fit the overall vibe & message of the song. Ooooo. Robyn, SZA, Kacey Musgraves, Noname & Solange. Everyone I just mentioned! They are really the people I have on rotation right now alongside Rex Orange County and Tyler, The Creator. As long as female musicians are presenting themselves the way they want to be portrayed (without the pressure of anyone else or social media) then there is nothing to change. Venues that do not accommodate to the needs of artists that aren’t just your average male rock band. Light every green room well and maybe adding a full length mirror wouldn’t hurt. Social media pressure is a big one for me personally. I’m not competitive by nature and I hate that something like Instagram can bring that out of us. Don’t do anything you don’t want to do, stick to your values and don’t try to be anyone you’re not. What would you say are the pros and cons of being a new artist coming up in the streaming era? It means anyone can be heard but that also means it’s harder to be heard. Personally, I think it’s a great thing overall. Do you have a special message for other queer Muslims out there? Sometimes it may feel like it, but you’re not alone. You’re loved. Compassion for everyone and everything. What else can we expect from you in the next year? I’m aiming to have new music out in the new year and a bunch more shows all over the place.